To record additional information whenever a check in happens. 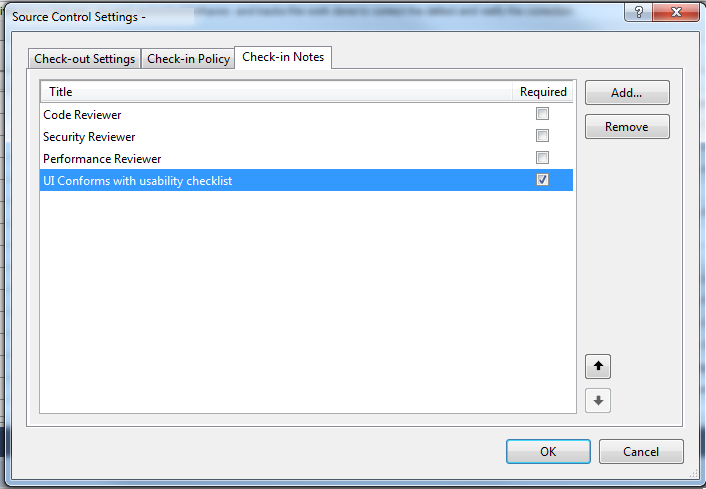 For example to confirm the check in confirms to a security policy or usability policy. In Team Explorer, Right Click the project, Team Project Settings, Source Control. The Check In Notes allows you to specify as many notes as required (Although for the sake of the developers I’d recommend not going crazy here! ).